The Bronte Sportive Cycling challenge may not be one of the longest sportives, however, mile for mile, it is recognised as one of the toughest in the UK. 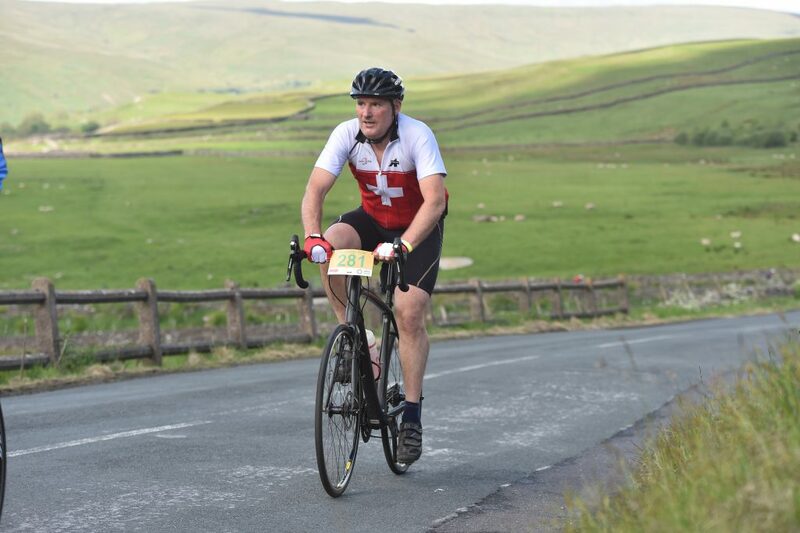 With such a demanding challenge, we were proud to have supported one of our members of staff, Nigel, on his quest to attack one of the four routes of the sportive, known as 'The Monster', covering 90 miles spanning Bronte Country, the South Pennines and the Yorkshire Dales. We were thrilled to see Nigel still in form and in one piece the following day of the race. He explained to us, that part way through the race, someone had removed relevant signposts for participants following 'The Monster' route and consequently there were a group of cyclists who ended up lost in the Dales. Nigel managed to find his way back completing 65 miles, and if you're cycling around in circles in the Dales, that's certainly no mean feat! Well done to Nigel and who knows, he might try it again next year (and do it properly). The Bronte Sportive is in support of Sue Ryder Manorlands Hospice, situated in West Yorkshire, who provide care and and support to people with life-limiting conditions, which can involve complex physical or psychological problem. British Hardwoods are delighted to announce a sponsorship link up with local football team Silsden Rams under-9’s. The youngsters will proudly wear their red and black strip with the British Hardwoods logo on the front. The link transpired through Sam Fearnley, the son of British Hardwoods head of production Jason. 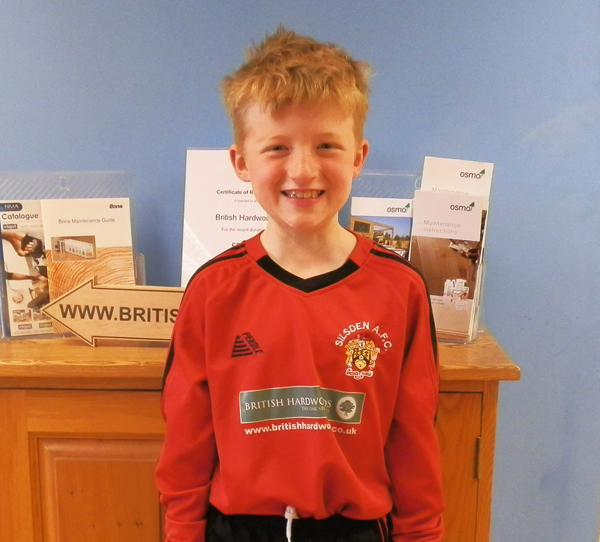 With the team in need of a kit supplier, Sam asked his Dad if British Hardwoods would be willing to help. Managing director Tony Fillingham felt it would be a great opportunity to help out a local club as well as promoting British Hardwoods in the area. The Rams play in the Keybury under 9’s league with the majority of their games on Saturdays and Sundays, as well training once a week. We would like to wish Silsden Rams Under 9’s all the best for the coming season. Just try not to outgrow your new kits too quickly!